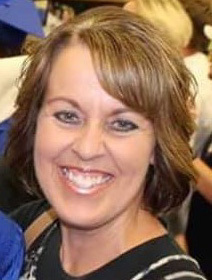 Cristi Haderlie Boyack, 50, of Whitney, Idaho passed away unexpectedly at the Franklin County Medical Center surrounded by her family on Sunday March 24, 2019. Cristi was born August 14th, 1968 in Logan Utah to B. Roger Haderlie and Judy Baird. She grew up in Smithfield, UT and graduated from Sky View High School in 1986. On July 30th, 1993 she married the love of her life, Bryan Boyack and the two were married for 25 happy years. Together they raised 3 children Kylie, Codi, and Colton. On July 30, 1997 they were sealed as a family in the Logan, Utah Temple. Cristi was known for her feisty personality, and infectious smile. She was the most selfless person, always doing things for others before doing things for herself. She wanted what was best for her family and always helped us succeed. She loved her Harper Cat, and was the world’s best grandma, all she talked about was that little girl. She was the greatest example of love and service, she worked so hard to keep us all happy! We are convinced she was the best mom and wife ever, our Wonder Woman. Cristi was well known for her attention to detail and could always be found in her immaculate yard, caring for her beautiful flowerbeds, and her amazing garden. Every year she would make large batches of homemade salsa, chili sauce, and jams. She was always found in the kitchen making a home cooked meal or making treats. She spent most of her married life as a homemaker raising her children. In the fall of 2012 she began working at Preston High School as a resource aid, and August of 2018 began working for Naylor Insurance. She was a member of The Church of Jesus Christ of Latter-Day Saints. She held many callings in the church, including Primary Presidency on several occasions, Stake Relief Society Presidency, and Nursery. She is survived by her husband Bryan; three children, Kylie(Brian) Hallstrom, Logan, UT, Codi, Whitney, ID, Colton, Whitney, ID; two granddaughters Harper and Hailyn; her mother Judy (Mike) Nelson, three siblings, Thad, Provo, UT, Tracy, Ogden, UT, Shireen (Matt) VanOrden, Shelley, ID, and her mother-in-law Reva Boyack, and numerous nieces and nephews. Cristi was preceded in death by her father B.Roger Haderlie; brother-in-law Curtis Boyack, sister-in-law Julie Gordon, father-in-law, Wayne Boyack, grandparents, uncles, and aunt. Funeral Services will be held at 11 a.m. Saturday March 30th at the Franklin Stake Center, 112 E Main St. Franklin, ID. The family will meet with friends at Webb Funeral Home on Friday March 29th from 6:00 – 8:00 p.m. and again for one hour prior to the services from 9:30-10:30 at the Stake Center. Interment will be held at the Whitney Cemetery. In lieu of flowers please donate to the general mission fund, found online at ChurchofJesusChrist.org.